It's not a recital disc but I have Gounod's St. Cecilia Mass with B. Hendricks singing. Is very beautiful. Has she ever come to the US? Barbara Hendricks again......this time prime-time from 1981. A strange kind of crossover album. This one takes Gershwin standards and turns them into something akin to art songs. Thanks for the comments, Mike. I've not seen this CD, and am another admirer of the Labèques. I might pick this up. Anne, She was born in he USA, is now a Swedish citizen and lives in Europe. She has started her own record label, though to my ears I should think she is not too likely to get further recording contracts from the biggies; as I feel her voice is frankly in its declining years. Here is this year's concert schedule...no US or UK. If looking for recordings, anything up to about 1995 would be good. Interestingly, I have just been given a CD-ROM of the complete Callas Masterclasses at Juilliard, at which Hendricks was a student. These were taped in 1971 and 1972. So far I have only listened to the class at which she sings Qui la voce from I Puritani (brave girl). At first the voice sounds completely unrecognizable from the one I know, and actually rather anonymous, but as she starts to work on the aria with Callas, more and more of the Hendricks we now know starts to emerge. The performance itself not only starts to take shape, but the voice becomes more beautiful, and a personality starts to assert itself. That sounds like an interesting event. Sometimes with masterclasses, I feel the teacher is really just getting the student to adopt the famous one's way of it and not getting the student to discover it for themselves. Geraint Evans was bad at this as he would take several students through a part he was famous for and try to get them to replicate his way. I assume Callas was more sensitive to the individual singer? BTW, an order for the double EMI Hendricks Best Of ....has arrived. The first five tracks are from that late and rather unsatisfactory disc I reviewed above. Butterfly etc. Hearing her right after these relative infirmities with some of her most poised and beautiful work, EG Mozart Mass in C, points up that EMI do her no favours by including those late tracks. The second disc has some wonderful French repertoire and she does that as beautifully as can be imagined. Most of my favourite recitals I enjoy because they have some sort of theme or idea, rather than just being a hotch potch of arias. Unfortunately when CD came along, with its longer playing time, many recitals from the LP age were comprmoised by the addition of material from other recitals or complete recordings. 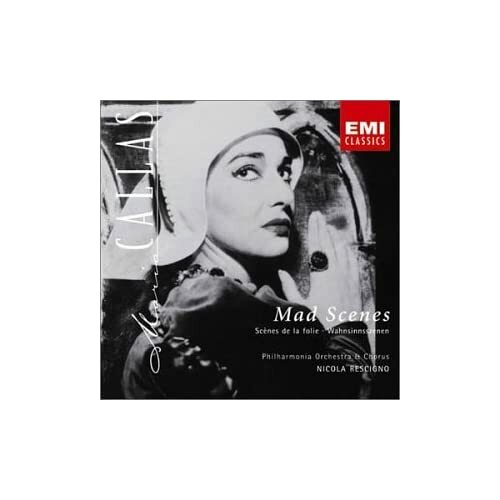 I am happy to see that, in the case of Callas, EMI have now reissued all her recitals, in exactly the same format and order as their original LP issue. I wouldn't be without any of them, but her single greatest recital disc must surely be Mad Scenes, which seems to me to contain the purest distillation of her art. 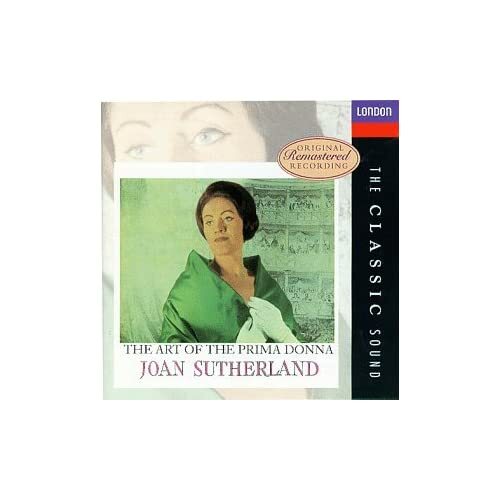 Also from the LP age, we have Sutherland's Art of the Prima Donna, still mercifully available in its original form. This still, for me, represents Sutherland at her vesy best. 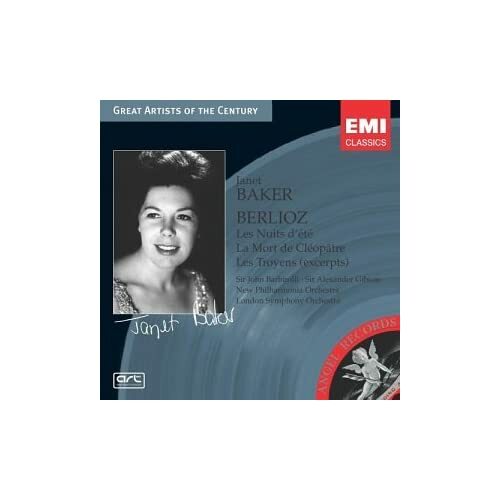 However one recital that works extremely well in its CD reissue, though it is a conflation of two LP releases is Janet Baker's Berlioz CD for EMI. 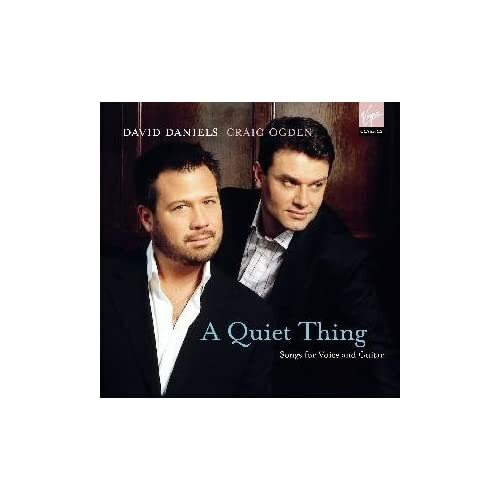 Amongst more modern recitals, I would single out both David Daniels' Handel arias CDs, and a lovely disc of songs with Craig Ogden on guitar, called A Quiet Thing. It has a fairly disparate group of composers and songs, that nevertheless hang together extremely well. Mike, thanks for that info! TL, I have the second two discs that you highlight. I agree that the Baker is a highly successful conflation and such a well filled disc. I have read that Baker's French is not top notch. It sounds fine to me, but then unless it is awful or there is a real French tang, such as Callas managed, I would not know. I do especially love the Cleopatra piece, she really has the scale of it and really uses the long breathed phrases that become full of expression. She brings off a remarkable effect of emptying her voice of tone as she dies. The Daniels disc I have to take in groups, I think the planning is intelligent, but some of the music just does not do much for me. He seems not to have brought out a new recital for some time. I have just about all his discs, I hope the planning for new ones is not drying up. 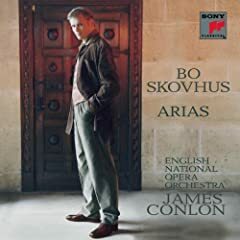 I keep forgetting to mention this wonderful disc by Bo Skovhus, which I bought after hearing his Wozzeck (excellent, not necessarily "the" version, but still good). I love the opening Korngold, and some of the rest (e.g., Massenet, Gounod, Ambroise Thomas) is material I might not normally listen to, but his voice sells it all very well. Almost a year has passed. Time to bump this thread. I have just got hold of a new issue....by a dead singer. Lorraine Hunt-Lieberson. A singer I would even listen to if she had recorded the phone directory. This disc is issued under the Avie label. It consists of arias by Bach and Handel performed by Hunt Lieberson and for the most part conducted by her long time collaborator, Craig Smith. He also died young. The indication is that there may well be more from this source, I hope so. The performances are live from The Emmanuel Archive 1992 to 1999. The actual sound is immediate and rich, the voice three dimensional. This is the kind of balance I like. Initially I did wonder just what they were playing at. The first aria is Bach 'Kommnt angelochten Sunder' from Cantata BWV30. It is a lilting dance, basically a call to the Faithful to get on with it! Here we open with a dirge, it sounds disastrous; almost half the normal speed. Then the singer enters and the approach is redeemed. She turns it into a meditation, depth, tenderness, a beauty that is about more than pure sound, it conveys things in itself. Suddenly the slow speed makes sense. However, very few singers could bring it off. Nothing else is taken at an eccentric speed. After that benediction, we get all the major arias for Dejanira from Handel's Hercules. Here the voice shines and gleams. She goes through the gamut from love to anger, despair and madness. I have the Minkowsky set with Von Otter. He really charges the piece with drama to the hilt. The approach here is more measured and the singer is the focus for the drama. It is an inspired string of Arias and she does them justice. Finally Back to Bach. One substantial aria from Cantata No 33. almost 11 minutes, yet concentration never flags. An aria of comfort. She uses very rich tone, the music almost sounds extemporised and with Bach, I regard that as the most successful possible kind of performance. In its length it unrolls before you as though it was just being created, long breathed, hypnotic and a fitting piece to leave us with. The music hangs in the air, the pizzicato echos in the head long after. Thanks for the beautiful write up, Mike. Makes one want to rush out and buy, rush out and buy! Juan Diego Florez recitals are among the most satisfying I've heard in many a moon. Not that he is a tenorisssimo (whatever that means), but everything he does offers the full package: interesting choice of material that combines the familiar and the unusual; said material suits his voice perfectly. These two points show he's an intelligent singer that doesn't pander to today's fast track, fast art type of recorded material. And the voice itself is of outstanding quality and totally unique. No clone or imitator. No Bocelli-type pumped up, hyped up small voice. He is the genuine article, less artificial and more of the ingénu than Bartoli, and a bit more fun to hear as well. Classical singing is not a natural process. People generally can sing a bit; but they do not just toss off Lucia's Mad Scene....even the women. It is no more natural than the relationship between Olympic runners and someone who runs to catch a bus. So, when people claim the countertenor voice is not natural, I cannot really see their point. All this is make way for a disc by David Daniels, possibly the best countertenor around. After quite a gap, he has now produced a new solo disc. Bach arias. In part this is an opportunity missed. The recital includes Ich Habe Genug and Vergunte Ruh...we get only part of these marvelous cantatas. I don't know what I would have got rid of to make room, but entire cantatas would have been very welcome. Daniels can be a little bland with the words, but here, he does use them and these are detailed thoughtful interpretations. His voice is as full of sap and flexible as ever; but he does not overload the Bach with outright sweetness in the way that is more appropriate to Handel. So, no signs of a decline. He is expressive, but not in terms of the tone deployed. His expressiveness involves word pointing, phrasing and variations in volume. The tone is pretty much set, he does not use colour; what you initially hear is what you get. I am glad to see he has reverted to Harry Bicket to accompany him, rather than the occasional speed merchant Fabio Biondi. The later was responsible for destroying Daniel's recording of the Pergolesi Stabat Mater by bashing through it as though it were a fast military march. The English Concert are the orchestra and they are well forward in the sound picture and provide a lot of pleasure. As well as the arias mentioned above; Daniels gives us the expected pieces from the B Minor Mass and the St John and St Matthew Passions. A very beautiful disc; I recommend it. Thanks, Mike. I didn't know Daniels had a new disc out. I'm off to buy it today. Daniel Taylor also has a beautiful countertenor voice. Maybe not as well honed as Daniels' but the basic material is intrinsically ome lovely. but he tends to be more laid back, even bland of expression. A bottom to Daniel's top. Another thanks for the Daniels recommendation. I was actually on the lookout for some good countertenor discs, so this came right on time! Andre, Somehow, although I have read about him quite a few times, I have never heard Taylor. Am I right in remembering that Taylor also conducts? I know Daniels is quite open about his private life; but I have no idea whether or not he is a 'top'. Mike, this is funny ! I used this lousy metaphor with absolutely no knowledge of these gentlemen's private lives. But for some reason it 'sounded' appropriate . Taylor does conduct (a small HIP group). I have heard him many times on records and a couple times live - most famously in Handel's Messiah, where his 'He was Despised' made time stand still. His is not a 'fleshy', but a 'chaste' kind of countertenor.